What do you do when it’s cold out but you don’t want to wear a hat? Wear a warm Knotted Headband! Sometimes a hat isn’t the most convenient thing to wear. Personally, I love these yarn earwamer/headbands. I can slip them on and off as needed and it doesn’t make my hair a mess. This pattern really only uses one stitch, the single crochet. 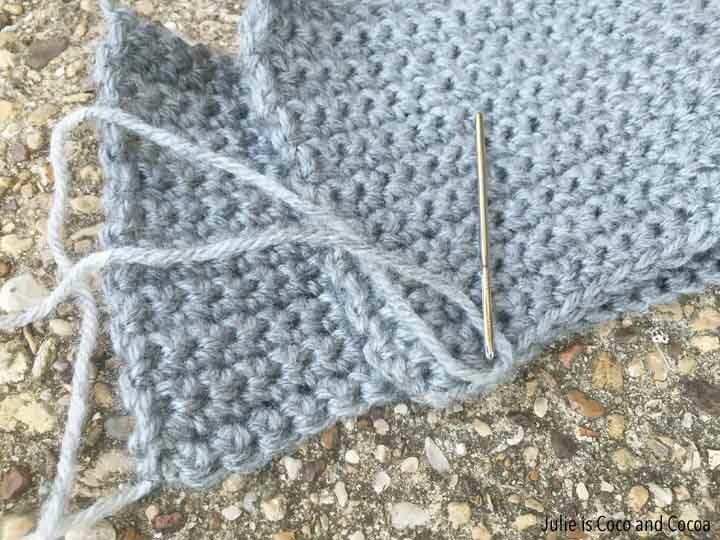 For this pattern you’ll need some medium/worsted weight yarn and a crochet hook size I/9/5.5mm. Chain stitch long enough to fit around your hard (for me that was 58 stitches). Then single crochet every row until the piece is as wide as you want. Mine is 4 inches wide, which was 18 rows. 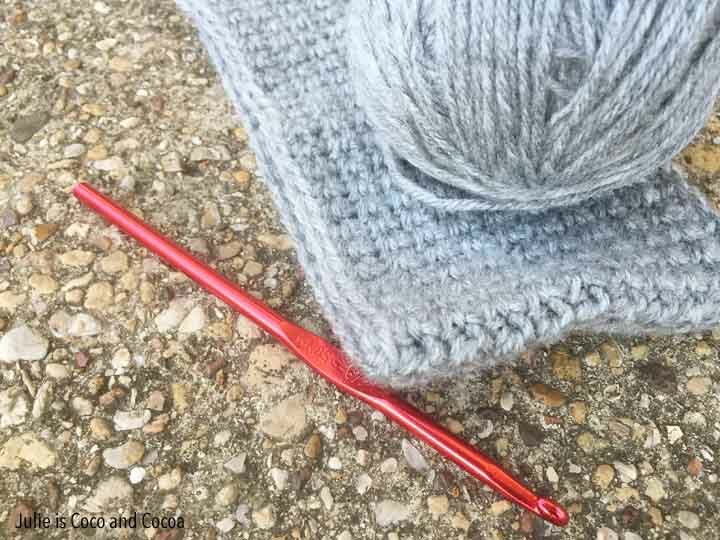 Use a tapestry needle to whip stitch the ends together. Then wrap some yarn around where you stitched the piece together. This gives it the knotted look. And you’re headband is ready to wear! 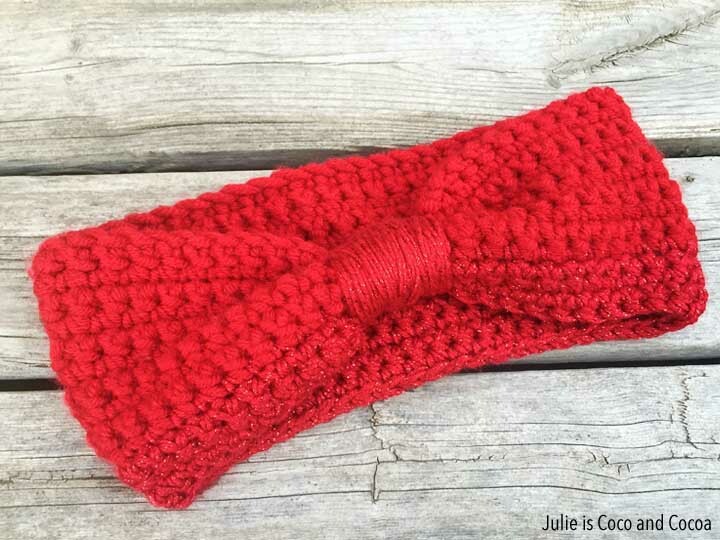 For this red headband I used two different yarns. 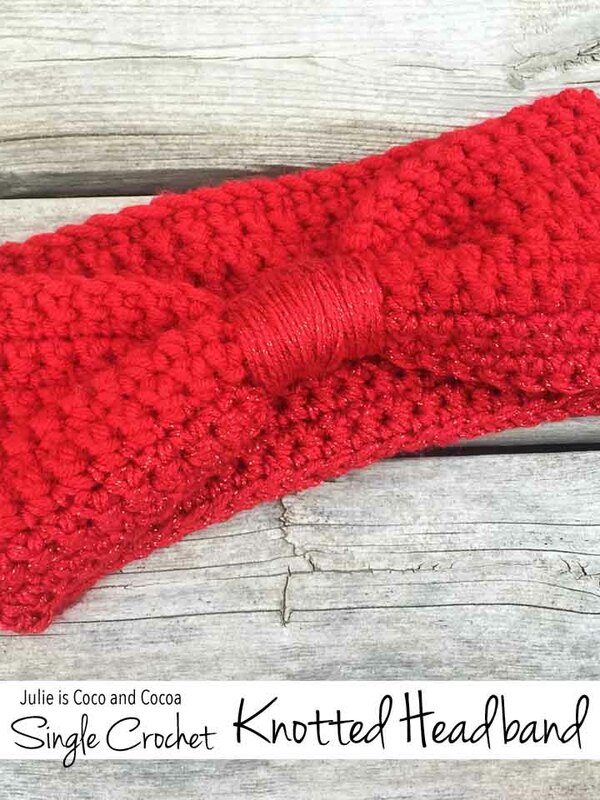 I did the majority of the headband in a plain red yarn, but then for the last few rows I used a sparkly red yarn. 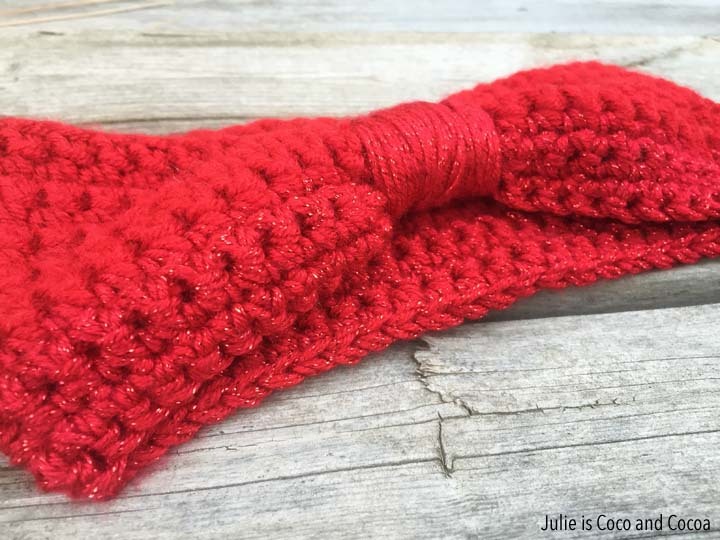 I also used the sparkly red yarn to wrap around the headband. I think it gives it a really festive look! Mix and match whatever colors you want to really personalize your headband. 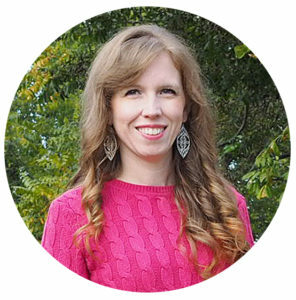 Did you miss watching the live video? You can still watch the replay here! Thanks for a fun project using only single crochet stitch. So excited to try a cool project that may be okay for a beginner. I will comment again once I am finished!